Live your best life: let Falguni help you get from where you are to where you want to be. Falguni works with individuals who want to feel better fast; feel good about themselves, improve relationships, confidence, work performance, self-esteem as well as physical well being. Wherever you are at right now, Falguni is fully invested in doing her part to get you to connect to, and use your inner resources, so you can live your life in a way that is most meaningful and satisfying to you. Using cutting-edge techniques and therapies, Falguni works together with you to help you release bad feelings so that you can feel good about yourself. Working with emotions in her counselling practice and with the physical body as a yoga teacher led Falguni to experience the direct link between the emotional, mental and physical body. 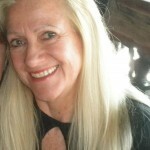 This experience deepened her exploration into the field of META-Health. Using META-Health techniques, Falguni helps you to connect to any emotional residue and negative belief patterns that underpin your physical symptoms. Releasing these allows your body to heal faster, bringing you back to a healthy state. Falguni has worked with clients to resolve migraines, chronic back pain, bladder problems, heart palpitations, thyroid problems, eczema, and allergies, among other symptoms. 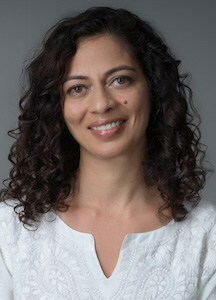 Falguni holds a Masters in Counselling from Monash University (Australia), an Accredited Advanced EFT Practitioner certification from AAMET and a META-Health Master Practitioner certification from IMMA. Book a Session with Falguni Now!